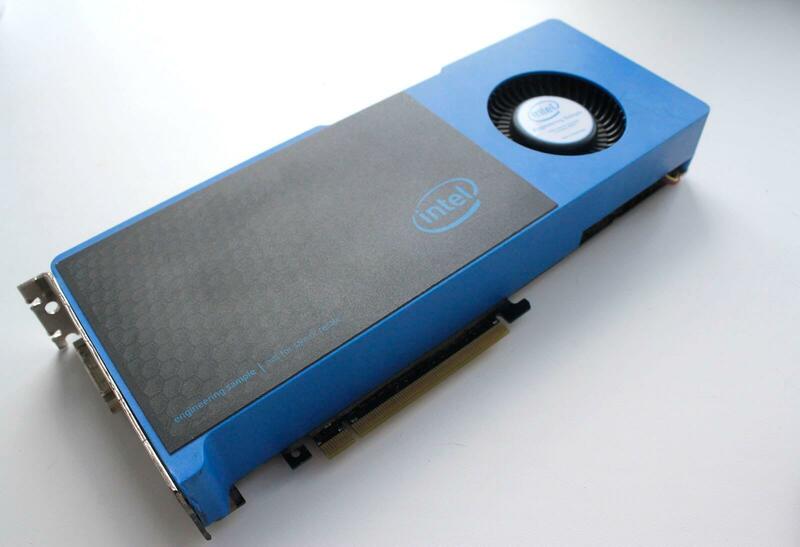 Rumor mill: Intel already confirmed that it is working on its own discrete GPU, but now reports have surfaced that suggest we'll get our first glimpse of the device sooner rather than later. The GPU, codenamed "Arctic Sound," will be unveiled by Intel at an unknown conference in December, according to DigiTimes. Though the conference will also serve as an avenue for Intel to discuss its other ambitions, Arctic Sound will undoubtedly take center stage. Not much is known about the GPU at the moment, but it will reportedly act as the company's latest concrete attempt to break into the high-end PC gaming market (outside of CPUs), while also potentially allowing it to obtain a stronger foothold in the artificial intelligence industry. As exciting as the possibility of finally feasting our eyes on Intel's upcoming GPU sounds, there are a couple things we should note. First, even if DigiTimes' reporting is accurate, we don't know whether or not Intel's conference will be public or private. Second, none of this information has been officially confirmed by Intel yet so it may be wise to take the report with a grain of salt for now. Either way, with December just around the corner, we won't have to wait long to find out the truth. If Intel doesn't announce its GPU this year, don't fret too much - there's always CES 2019.